This close-up mystery has baffled both laymen and magicians for many years. Although it is not difficult to do, there are a number of important details which make it successful. Learn them and you will have a feature routine! 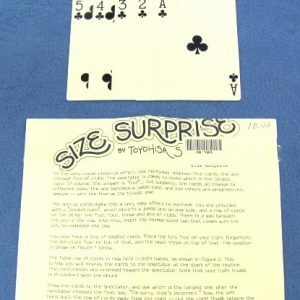 Effect: Two spectators each freely select a playing card. 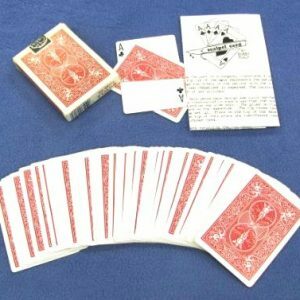 The cards are replaced in the deck which is ribbon-spread face down in four rows and covered with a sheet of tissue paper. 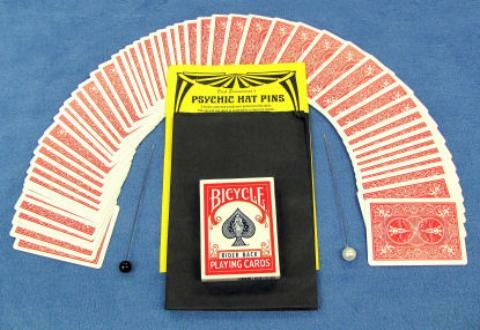 While one spectator concentrates on their card, the performer slowly moves an old-fashioned hat pin back and forth over the tissue. Suddenly, the pin drops to the paper as though attracted by an unseen force. A spectator tries to duplicate the magician’s actions with another pin. It, too, sticks into the paper which is slowly torn away, leaving the hat pins sticking into two cards. 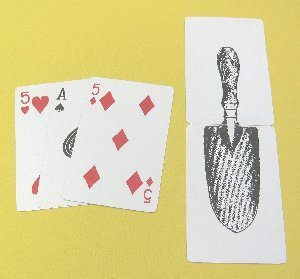 The surrounding cards are turned face up to show that any of them could have been stabbed. The two stabbed cards are now revealed and they prove to be the two selected cards!